It aims to deliver a series of truck driving events across track, snow and outback environments throughout Australia and New Zealand, focusing on driver training and customer engagement. 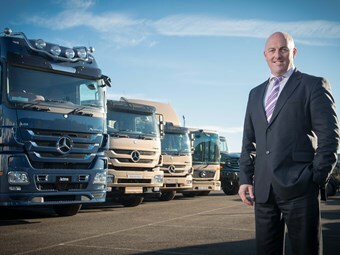 Mercedes-Benz Truck and Bus general manager Justin Whitford says the academy will provide exclusive opportunities for existing and future customers. "The initial feedback from customers on the driving academy has been fantastic and this is just another initiative that highlights our commitment to improving the truck and transport industry throughout Australia and New Zealand," Whitford says. The academy will be managed by chief driving instructor Peter Hackett together with product and technical manager Andrew Assimo.